Sri Lanka has secured a draw in their Test series warm-up match in Hobart, avoiding another setback following a winless tour of New Zealand, while Kurtis Patterson's unbeaten twin centuries completely upstaged Australian team hopefuls Joe Burns and Matt Renshaw. Sri Lanka's three-day pink-ball clash with a Cricket Australia XI was designed to give the tourists an opportunity to adapt ahead of the day-night Test at the Gabba from Thursday. And on the strength of their batting on Saturday, they still have work to do before confronting an Australian side stung by their first Test series loss to India on home soil. The CA XI looked capable of sending Sri Lanka to Brisbane on a downer after reducing the visitors to 5-75 with two sessions remaining at Bellerive Oval. But a resolute unbeaten 46 from 121 balls by opener Lahiru Thirimanne held up one end while Roshen Silva added 23 before he retired with the game safe. Set 365 for victory, Sri Lanka reached the close on 6-131, a necessary improvement from 4-39. Left arm spinner Jon Holland led the CA XI attack with 4-28 from 15 overs. Sri Lanka also had captain Dinesh Chandimal in reserve in the lead-up to stumps, dropping down the order after batting No.3 in the first innings. Kusal Mendis did not bat in either innings after copping a blow to the hand while fielding at short leg on Thursday. Sri Lankan management indicated the injury was not serious and the top-order strokemaker is expected to be available for the first Test. The match was also a poor dress rehearsal for would-be Australian Test openers Joe Burns and Matthew Renshaw who mustered a combined 43 runs from four knocks. 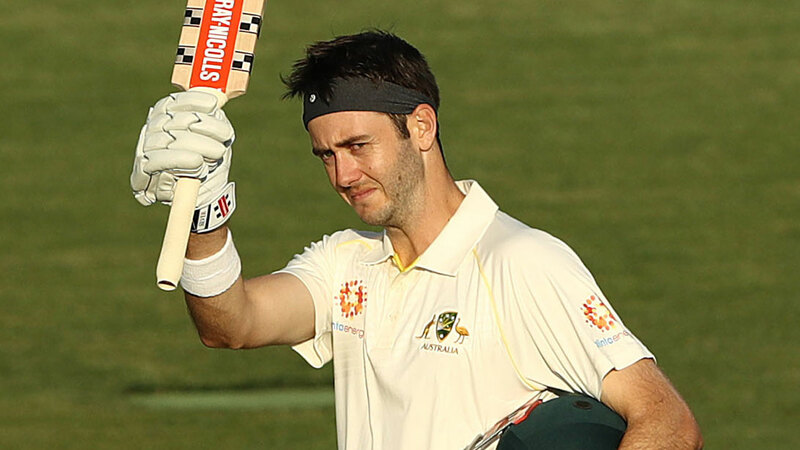 Kurtis Patterson proved the stand-out strokemaker with an unbeaten 102 on Saturday following his 157 not out in the first innings, giving him 259 runs for the game without being dismissed. "Kurtis has been batting really well for a number of years now he makes a lot of runs for NSW so I think he can't be too far off the radar for a call up to the Australian team," Holland said. Holland was also impressed with fellow Victorian and Test debutant-in-waiting Will Pucovski, who was 33 not out when the CA XI made 3(dec)-224 in their second innings.